Physical reality is created by harmonics. and the geometry of creation. 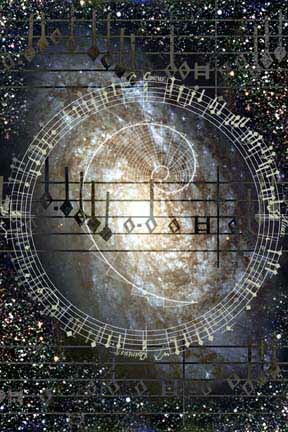 Generally we speak about the music of the spheres. 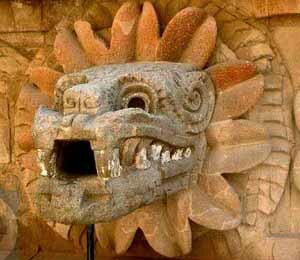 Encoded Sacred Geometry whose source takes me beneath the Sphinx. now have a harmonic code of its own, the music of the cubes. It's all in the architectural blueprint. The answers are hidden in the masonry, freemasons, Masonic program. Cracking another code, Rosslyn Chapel holds many secrets. 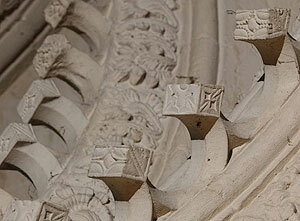 For hundreds of years experts and visitors alike have puzzled over the carvings in the chapel. Whilst some debate whether they point to hidden treasure, Edinburgh composer Stuart Mitchell thinks he has cracked one part of the enigma. He believes that the ornate ceiling of carved arches, featuring 213 decorated cubes holds a code for medieval music. His father Thomas Mitchell spent 20 years cracking this code in the ceiling and now Stuart is orchestrating the findings for a new recording called "The Rosslyn Motet." They hope that the music, when played on medieval instruments in situ, will resonate throughout the chapel unlocking a secret in the stone. The breakthrough to interpreting the notation came when Mitchell's father discovered that the markings carved on the face of the cubes seem to match a phenomenon called Cymatics or Chladni patterns. Chladni patterns form when a sustained note is used to vibrate a sheet of metal covered in powder producing marks. The frequency used dictates the shape of the pattern, for example; the musical note A below middle C vibrates at 440 KHz and produces a shape that looks like a rhombus. Different notes can produce various shapes including flowers, diamonds and hexagons, shapes all present on the Rosslyn cubes. Stuart Mitchell believes this is "beyond coincidence" and has assigned a note to each cube. Ernst Chladni first documented the phenomenon in the late 18th century, yet it appears to be present in a 15th century building. 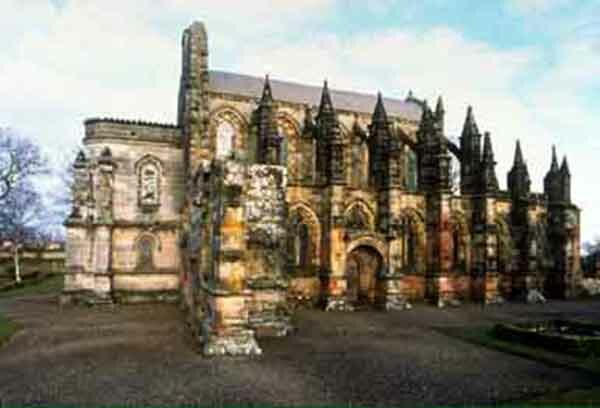 Which begs the question: "Was Sir William St Clair, the man who built Rosslyn Chapel, familiar with sciences far in advance of his time?" Stuart Mitchell believes a link between the Knights Templar Ð who may have gleaned advanced Eastern scientific knowledge during their stay in Jerusalem during the Crusades, and Rosslyn could explain the encoded musical notes. "The symbolism in Rosslyn is reaching back to times of a civilization that is lost to us now that had sciences that are the roots of all the mechanics of the universe," says Mitchell. 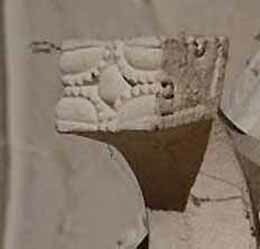 "If this science was used in the carvings at Rosslyn, then there needs to be an explanation of how this information came to be lost for centuries. The Church suppressed the knowledge as a means of controlling the public. What it points towards is the church system denying people certain knowledge because knowledge is awareness. People who knew too much were burnt as witches." Interestingly the Devil's Chord, diabolus in musica, makes an appearance in the music. "In the ceiling is this jump of an augmented fourth, in fact it opens up with an augmented fourth," says Mitchell. 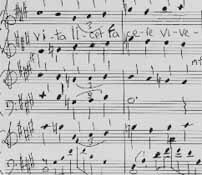 "The Catholic Church had banned this interval (seven semitones) from medieval music as it was believed to be disturbing and therefore diabolical. Perhaps St Clair was indeed challenging the authority of the church. The music itself, according to Mitchell is a mix "of Celtic melodies and secular worship crossed with a kind of Christian worship" but not Catholic. Perhaps this explains why carvings depicting the green man, essentially a pagan image, exist alongside carvings of Christ in the chapel. Mitchell doesn't believe that the notes were carved there simply to record a piece of music. He hopes that the repeated frequencies in the music will resonate within the building and unlock a medieval secret. Mitchell has no idea what may be hidden in the church, but believes that St Clair used advanced science to ensure that the music was hidden from prying eyes. Mitchell, dubbing the project "The Voice of Creation", says the carvings on the cubes are ultimately about sacred geometry. "What it's saying is we've forgotten more than we know. Perhaps the music is indeed a key to the past, the physics of the universe and just maybe, played loud enough inside Rosslyn, it will unlock a long lost secret hidden in the masonry." Stuart Mitchell Frozen Music unlocked in time! It's all in the sacred architecture and the harmonics. Researchers here are investigating the subjective acoustic qualities of church architecture in one of the most extensive scientific inquiries yet. Italy -- Does your church sing? Or does its message fall flat in a mess of reverberation, boomy bass and muffled speech? Researchers here are investigating the subjective acoustic qualities of church architecture in one of the most extensive scientific inquiries yet. By studying the best-sounding spaces (and the worst), the researchers hope to assemble practical design criteria for new churches. The data can also provide the clergy with some considerations on what music works best in existing places of worship. Since 2000, the team has visited 40 churches from Gothic to contemporary in style. They picked nine of the buildings for a five-song test of their acoustics. When the churches closed to worshippers at dusk, engineers and acoustic experts brought in sound-test dummies outfitted with binaural microphones. By plugging a microphone into each of the dummy's ears, a close approximation of the human listening experience could be recorded. Over a three- to four-hour period, the dummy sat in about 10 different pews while it "listened" to songs including the overture from Le Nozze di Figaro and the Gregorian chant Pange Lingua. The team also recorded each spot with 3-D SoundField microphones for comparison. Back in the lab, volunteers listened to each song as it was recorded in two different churches, then chose which one struck the right chord. "Human perception in a church is very important, but we took people out of the church environment for a more scientific take," says Christian Skaug, a researcher at the Italian National Research Council, or CNR, who made a mathematical model for the data. "There's often an abyss between scientific evaluation and human evaluation," he says. Preliminary findings suggest listeners prefer sounds from paleo-Christian churches with their insulating wooden ceilings. Baroque buildings, with their heavy stucco decorations and contained spaces, were also right on key. Cavernous Gothic buildings fared worst: Bologna's San Petronio Basilica, about 430 feet long, was a listener's nightmare with 12 to 13 seconds of reverberation. A book compiling the first round of findings called Worship, Acoustics and Architecture, comes out in paperback in April 2007. The clergy sometimes seeks out a scientific take on a church's acoustics. In 1997, priest Silvano Burgalassi approached the National Research Council about studying the extraordinary acoustics in Pisa's Baptistery. The dome of the building was left open to collect water for the baptismal font, then later closed, making for a unique vibe. A team led by Leonello Tarabella, head of the Research Council's Computer Music Lab, sounded out the 180-foot-high round building normally overshadowed by the nearby Leaning Tower. Inspired by the Baptistery's particular aural characteristics, Tarabella then composed a piece of music called Siderisvox (Latin for "voice of the star") to make the most of its peculiarities. For two nights in 2006, he turned the Baptistery into the world's largest musical instrument, creating a 15-minute sound fresco for groups of about 200 people at a time. Tarabella hopes to release a CD of the experiment later this year. An event photo shows Tarabella orchestrating from a laptop, half hidden behind a piece of rectory furniture. In the end it's not about scientists. It's about exploring the use of sound in a very particular place.